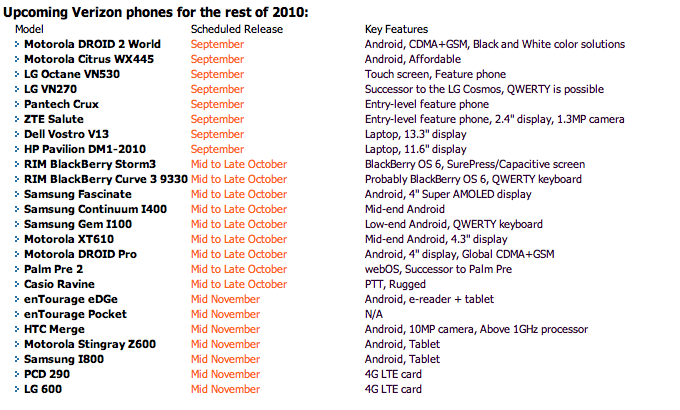 Let's start with September: we "should" see the Droid 2 World Edition released, and it will be the first Android phone to support both GSM and CDMA networks. 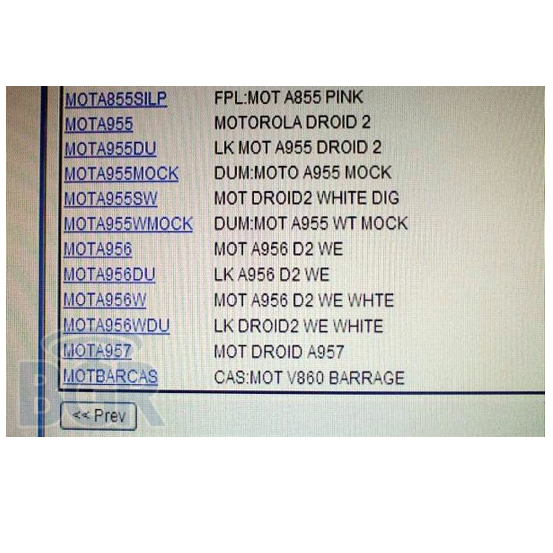 First up for inspection, we have a screenshot of an internal document suggesting that a device with the model number A956 is in the works and will come in both black and white. 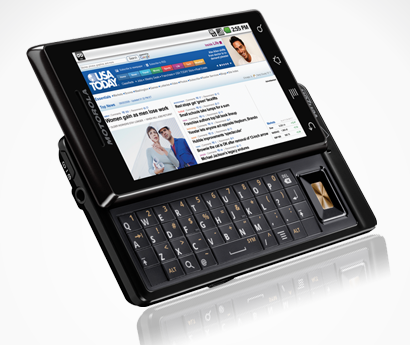 It happened to the Droid X, it happened to the Galaxy S, and now it's happening to the Droid 2. 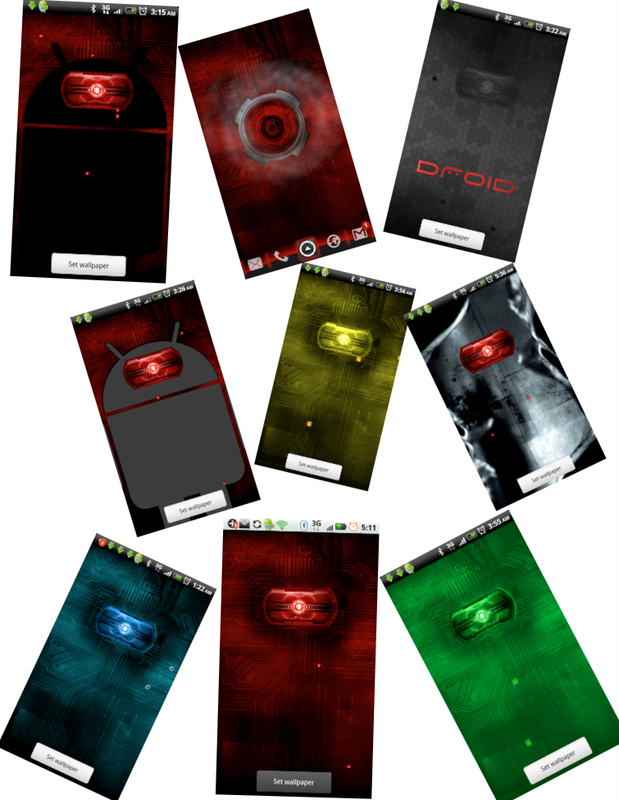 The Droid 2's live wallpaper, the one with the evil red eye, has been extracted and is ready to be used on any other device running Android 2.0 or above. 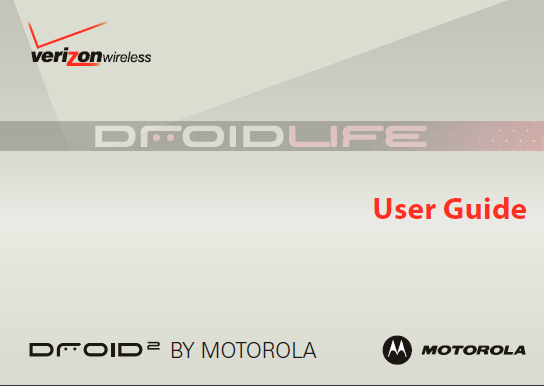 and a wallpaper where the eye is from the Droid 2 and the background is from the Droid X. 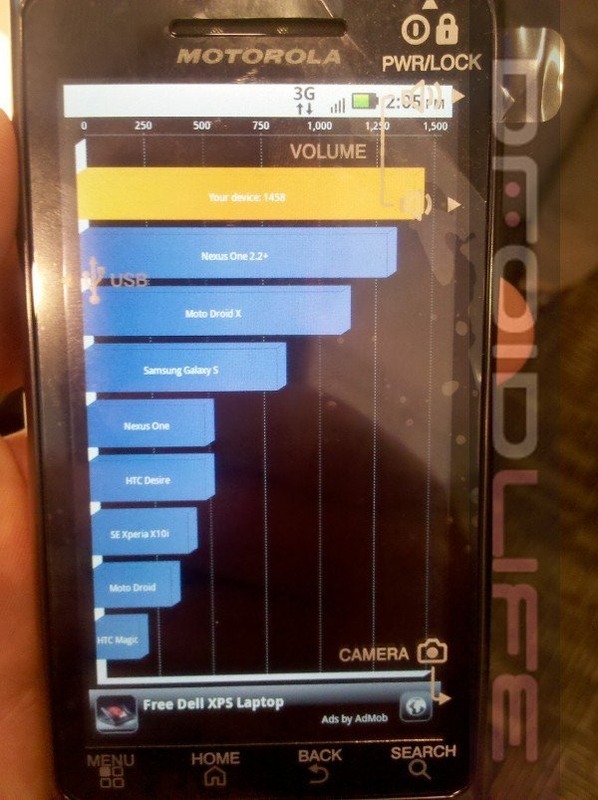 A picture of a Droid 2’s Quadrant benchmark results has been released, and its score is the best stock store to date at 1,458. 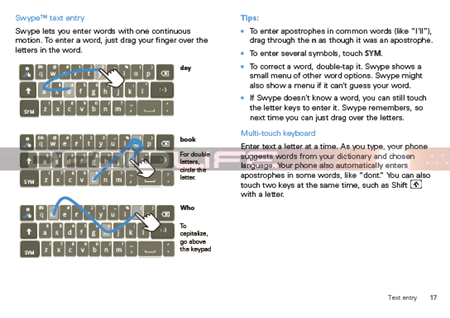 This is especially impressive considering the phone is apparently straight from the box. Compared to the Droid X’s score of roughly 1,100, it’s even more impressive. Because both devices sport nearly identical hardware configurations, the difference most likely comes from Froyo - while the Droid 2 runs Android 2.2, the X only runs 2.1. 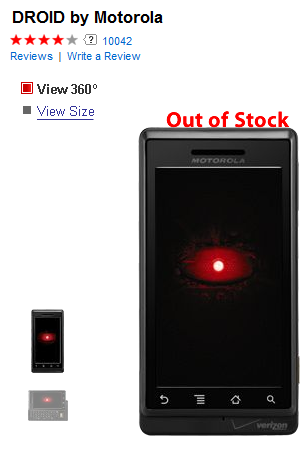 It doesn't come as a huge surprise that the rumors regarding Moto's 2nd generation of the most popular Android phone ever were indeed right on the money. 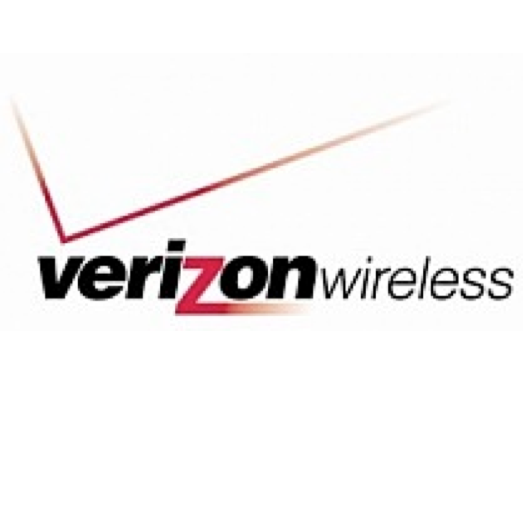 VZW announced this morning that Droid 2 will be going to its stores on August 12th, with a pre-sale starting a day earlier at www.verizonwireless.com. 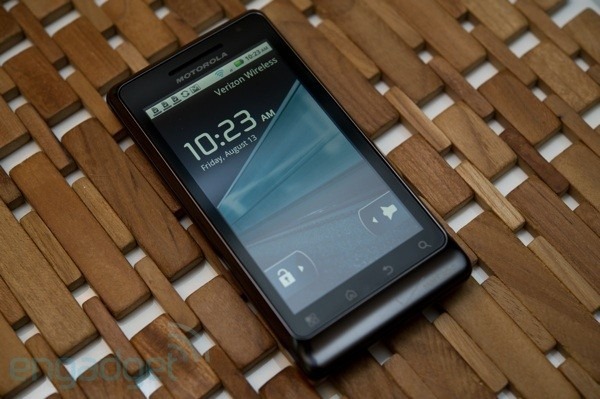 With the new DROID 2, we’ve taken a big leap forward from the original DROID. 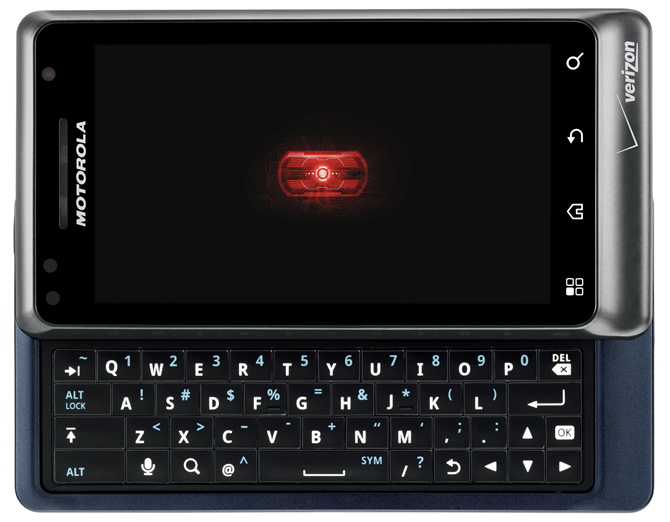 The DROID 2 will undoubtedly ship with yet another iteration of Motorola’s now-infamous encrypted bootloader, and without the flaws that made the rooting of the DROID X possible. 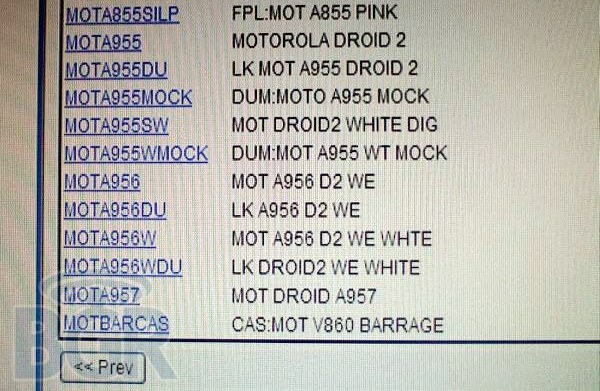 Turns out that the Droid 2 will rock the same custom UI as the Droid X; as it doesn’t really have an official name, and it’s not MOTOBLUR, we’ll just call it NotBLUR.